As the NBN™ rollout continues and more and more Australian homes are upgrading to the new broadband network, you may be wondering how this will impact your existing home phone line and alarm systems. Not all phone and security equipment running over the copper landline network is compatible with the NBN™, so it’s important to make the necessary arrangements for your services so you can be confident that they’ll work as expected on the NBN™. Whether you’re upgrading to the NBN™ in the future or you’re already on the NBN™ and looking to install a phone service or home security system, this step-by-step guide contains everything you need to know. There’s a mix a different technology making up the NBN™ and they impact the existing landline network in different ways. To find out which type of NBN™ is (or will be) available at your address, you can check your address on our website. Areas serviced by NBN™ Fibre to the Premises (FTTP) and Hybrid Fibre Coaxial (HFC) will typically see the existing landline network completely disconnected around 18 months after NBN™ becomes available, so you will need to seek alternative phone and alarm services. While it’s true that areas serviced by NBN™ Fibre to the Building, Node and Curb (FTTB/FTTN/FTTC) will utilise part of the landline network, they essentially “take over” the line and can’t share it with a traditional phone service. Non-NBN™ services using the landlines in these areas will also be disconnected roughly 18 months after NBN™ becomes available, so you will need to seek alternative phone and alarm services. The existing landline network will remain connected indefinitely in areas serviced by NBN™ Wireless and NBN™ Satellite, so you can continue to use services which run over this network. 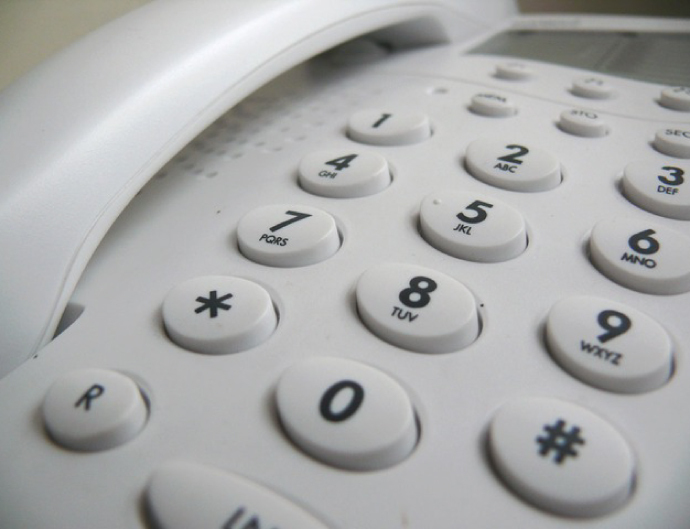 You won’t need to seek alternative services your home phone line will still work. While some Aussies may be content to just use their mobiles, the home phone is still an important fixture in many households. When you upgrade to the NBN™, you can still have a home phone, however it needs to be converted to a service which runs over the NBN™ infrastructure instead of the old landline network. The primary phone option available for all types of NBN™ Fibre services (FTTP/FTTB/FTTN/FTTC & HFC) is a VoIP phone line. Instead of landline network, a VoIP phone operates over your broadband connection. All you have to do is plug a standard phone handset into a VoIP-enabled modem. Provided you have an iiNet-supplied modem, our iiNet NBN™ plans are bundled with NBN™ Phone, which is a VoIP phone line. Please note that NBN™ phone will not be available if you choose to use a third-party modem. NBN™ Fibre to the Premises (FTTP) customers have the unique option of an NBN™ Fibre Phone. Like VoIP, this service also operates over your broadband connection but instead of plugging a handset into your modem, the handset plugs into your NBN™ Connection Box. You can learn more about this in our NBN™ Fibre Phone FAQ. In the majority of cases, you’ll be able to keep your existing phone number when you transfer your landline to a VoIP or NBN™ Fibre phone line. However, this option is not available for all phone carriers. If you’re interested in iiNet NBN™ services, your phone number will be checked for NBN™ compatibility as part of our online application process. Alternatively, you can give our friendly Sales Team a call on 13 19 17 and we’ll be happy to check for you. In the past, many home security systems such as monitored alarms operated over the landline network. Fortunately, Australian security providers have innovated their products to operate on alternative networks which also have additional benefits compared to older systems. For example, alarm systems utilising 4G Wireless and mobile technologies are typically less susceptible to physical tampering as there’s no line to cut, and backup power sources may be available to make sure the alarm is still active during a power outage. If your property has a monitored alarm or any other kind of security system, be sure to contact your security provider before you switch to the NBN™. Will my alarm work properly when connected to the NBN™? If so, what specific phone or internet service will work best with my alarm? Will my alarm be able to dial out during a power outage when connected to the NBN™? If not, what alternatives are available? What solutions would you [the provider] suggest? As the NBN™ experts, we’re constantly staying ahead of the curve with all things NBN™ so you can rest assured that you’ll be in good hands with iiNet on the NBN™. iiNet has a wide range of great-value NBN™ plans and a proven track record of award-winning customer service. Most recently, we were named Internet Service Provider of the Year 2018 by Roy Morgan, a leading independent consumer research agency. Love being organised? If your address is expected to be NBN™- ready within the next three months, you can pre-order iiNet NBN™ for a hassle-free switch and we’ll get your order rolling as soon as NBN™ reaches your door. Just pre-order online and we’ll take care of the rest. Alternatively, give our friendly Sales Team a call on 13 19 17 and we’ll help you find your perfect plan. who pays the upgrade cost if neneccesary? clearly the owner of the property right? It is always wise to have a chat to the property owner/manager before going ahead, so you can work out who is going to bear the cost.